You probably don’t need too much convincing to jet off to an exotic island paradise in the Caribbean, but if you’re feeling torn between a few viable ports of call for your next vacation, there’s plenty that sets Barbados apart from the rest. Beautiful beaches, idyllic weather and wonderful stretches of golden sand are probably already on your shortlist, so here are some other reasons to book those flights to Barbados. Known as the culinary capital of the Caribbean, the unique Bajan cuisine can tempt even the most reticent diner into raptures about its freshness and colour. Grilled fish dishes like cou-cou, flying fish and snapper are served up companionably beside hearty staples like yam and rice, and puddings involve bright, fresh fruit like steamed guava. On the other side of the coin, you can always venture to historic Sunbury Plantation and partake of some English afternoon tea, a remnant of colonialism which has been adopted by its people as a tradition and is still enjoyed in Barbados to this day. The multinational Bajan culture is a great reflection of its attitude to visitors, too. Whether you’re travelling with young children, a partner, or by yourself, if you visit Barbados, you’ll be given a heart warming welcome by the friendly locals. Be sure to take some time to appreciate this unique island’s culture: check out some calypso music (and dance if you dare! ), seize every opportunity you can to indulge in its street food, and explore the various handicrafts made on the island to find a souvenir for those who don’t bother with rum. The birthplace of Rihanna certainly knows how to throw a party, with the ubiquitous Mount Gay tempting revellers into its rum shacks in the early evening until the nightclubs light up like fireflies. Follow the commotion to Oistins, a fishing village that throws its own street party every Friday evening, and wrap your chops around some freshly-sizzled swordfish before slinging a margarita or two at Cafe Sol. Make sure you’re looking sharp if you’re going to make the guest list at Sugar Ultra Lounge: getting KB’d for a nightclub is not so cool. Still not convinced? That’s just the tip of the iceberg. Barbados has sumptuous accommodation options, exhilarating watersports to try, duty-free shopping, numerous gold courses, the charms of Bridgetown and the delights of its carnival. 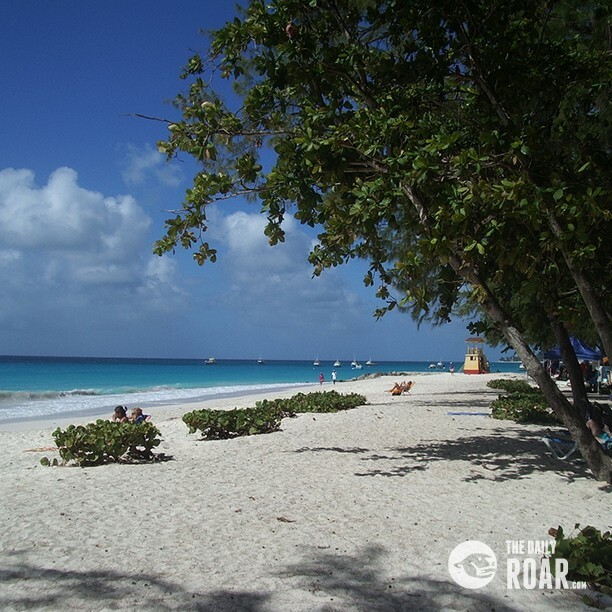 Barbados is waiting, and it’s all there to be discovered. /// Image by Charlie Dave, used under the Creative Commons license.